I’m pleased to introduce my newest DIY embroidery kit. This one is called Forest Friends and includes some critters that are so much fun to stitch. 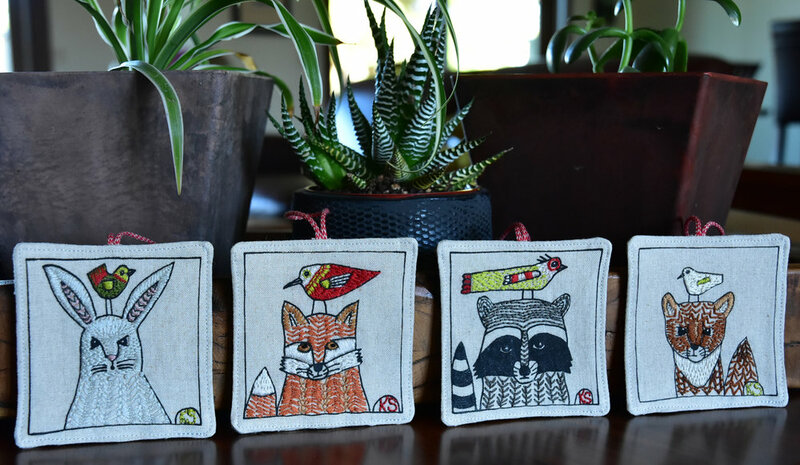 Whether you are a fan of rabbits, fox, raccoon, or marten, there’s something for everyone. This kit will make all four ornaments and you can switch up colors and stitches as you like. Check out this and all my kits in the DIY section of my shop.